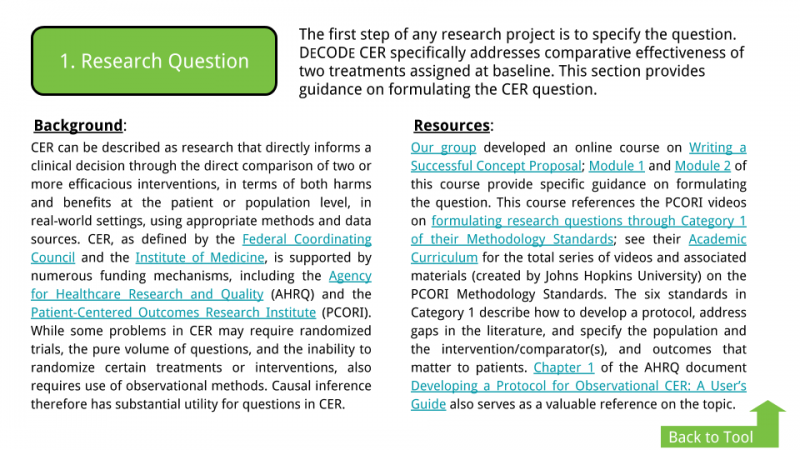 Dr. Doug Landsittel observed that students and less experienced researchers struggle to navigate the slew of methods used in comparative effectiveness research (CER). 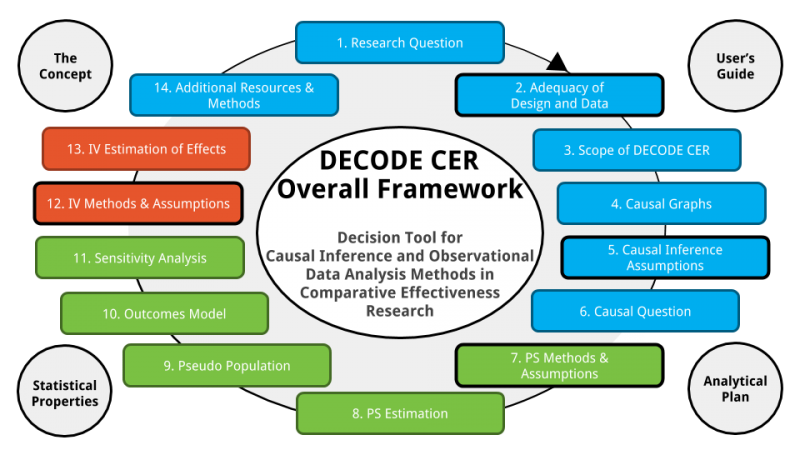 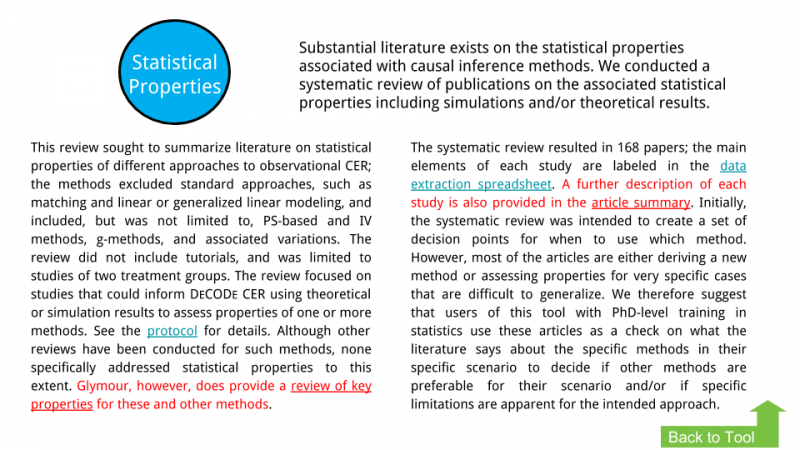 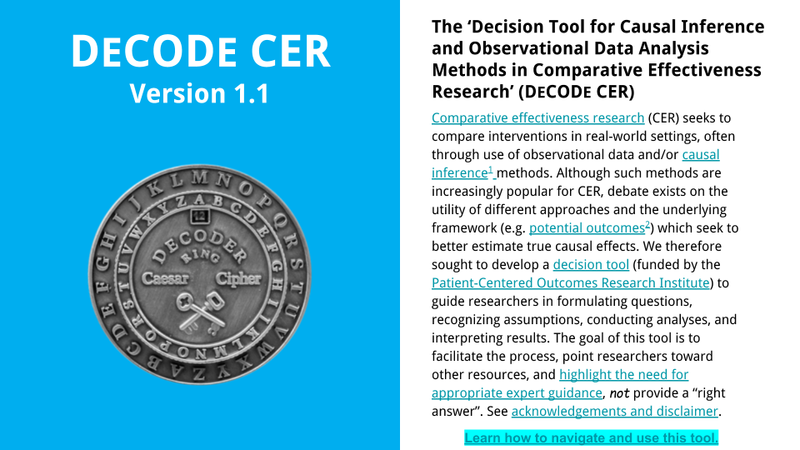 He was attempting to make a tool, now called DECODE CER, to assist in CER research design, but found it extremely challenging to differentiate, clarify, and present the large amount of complex information in a way that students and less experienced researchers could use. 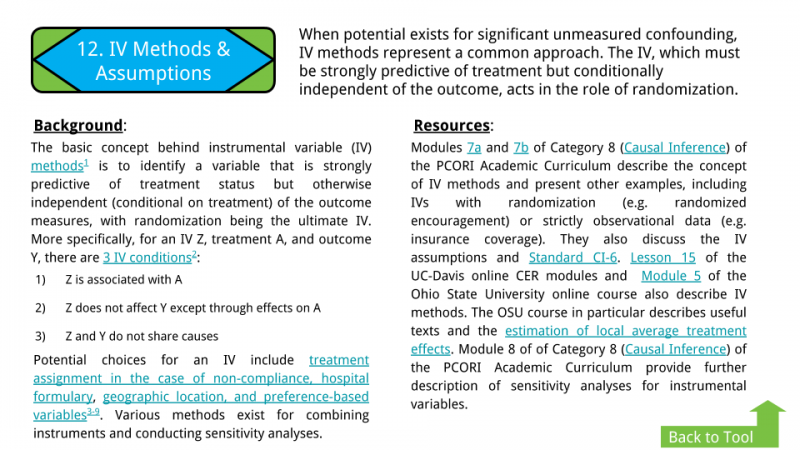 Using principles of learning science and of design I was able to assist Dr. Landsittel in breaking down the complex ideas into simpler pieces that could adaptively organize themselves into a structure that made sense to the individual researcher. 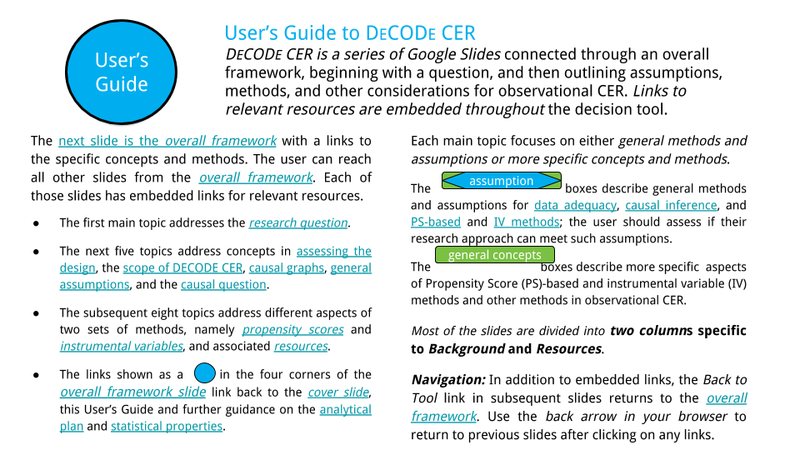 I invented a new way of using Google Slides to allow learners to navigate through the complex system of decisions and be presented only with the information most relevant to their specific questions. This also allowed Dr. Landsittel to easily update the information in the tool as well as make it readily available to everyone.